I discovered Uncle Funky’s Daughter in 2009, after relocating to Houston from Atlanta. As all naturals do, I immediately searched where to buy natural hair products in the area. Uncle Funky’s Daughter was the first search result, so I visited the store where I purchased my first jar of Extra Butter…and fell in love! What I didn’t know at the time I met my second love (my family is the first) was that this was a new brand that had just launched! It was 10 years ago that two people saw a need in the curly hair community which led to the creation of Uncle Funky’s Daughter. This amazing journey started with the infamous Curly Magic — still the leader in creating defined curls for all hair types. We’ve had 10 years to empower, support and supply wonderful products to awesome Funky Junkies, and we plan to thank you every chance we get! To celebrate all year long, we will host a special on the 10th of each month exclusively on our Uncle Funky’s Daughter social media platforms or website. In January, we kicked off our first promotion in celebration of our anniversary — a FLASH SALE for 24 hours! It’s my hope you’re following us on social media and/or subscribed to our email list to hear about all the funk, but if you’re not, now is the perfect time! 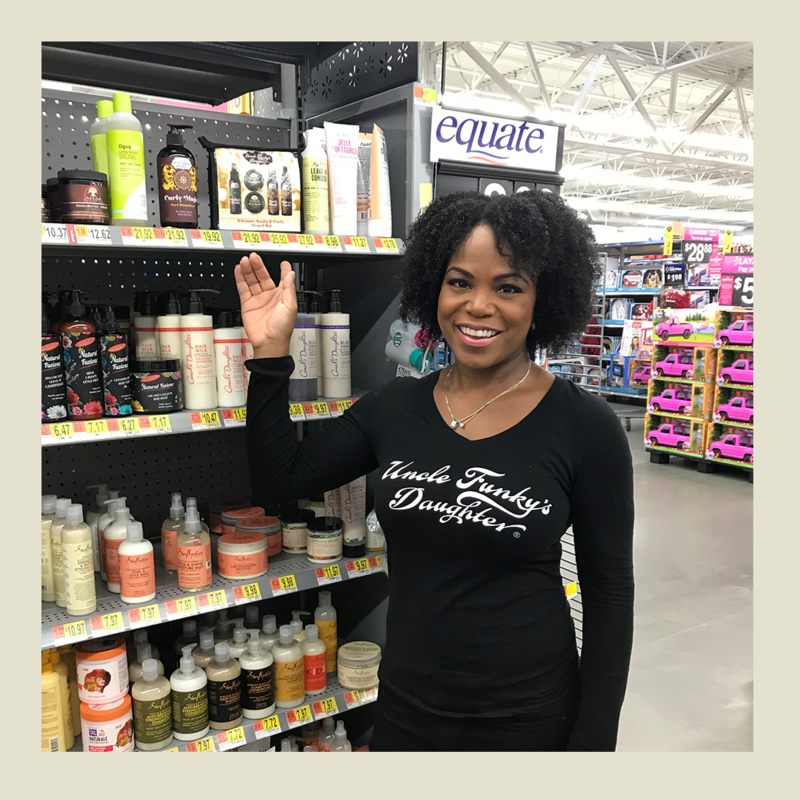 We’re also expanding our product range in CVS and Walmart while adding more boutique store locations where you can get your #GoodFunkyStuff. CVS Pharmacy now features Supercurl Miracle Moisture Creme (you guys have been begging for a butter, and its finally here! 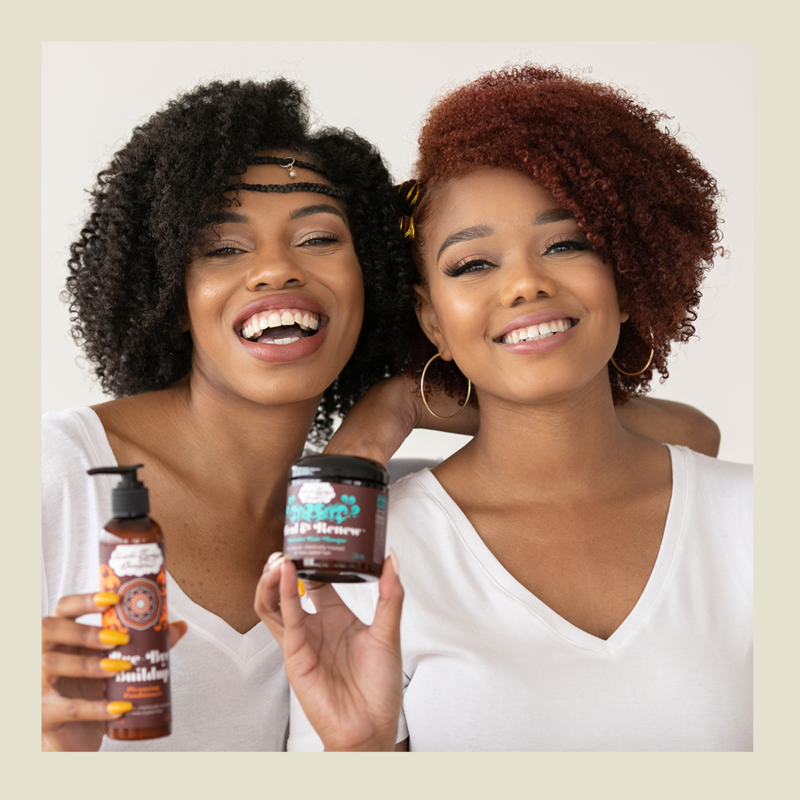 ), Bye-Bye Buildup Co-wash and Heal & Renew Intensive Hair Masque, which we released in 2018 and have been a HIT! Walmart will feature Bye-Bye Buildup and Heal & Renew beginning in March. Yeah baby! We are happy to share our #GoodFunkyStuff with you! It’s most important to serve naturalistas in every way! Because of your unwavering support, we have been successful in the market. We are constantly thinking of new ways to be an inclusive, thoughtful and overall helpful brand. Speaking of being helpful, I want to take a moment to mention the support we are giving to furloughed workers. As someone who grew up living from check to check, the government shut down hit home. I respect the impact this ordeal can have on someone who depends on the government as a source of income. So, we’re offering FREE PRODUCTS to government workers who were impacted by the shutdown. I know it’s over (for now), but the financial hardship continues for many workers as they pull out of the financial bind this impasse created in their lives. Offering free products is our small way of saying “we get it…we see you…we feel you.” So, if you — or someone you know — was impacted by the 35-day government shutdown, please email us so that we can help! ← Previous Previous post: 5 Tips for Starting Your Hair Off Rite!